The Sadducees (from Hebrew: Tsdoki, צדוקי meaning "High Priest") were a religious and political movement within ancient Judaism that existed during the second Temple period (c. 350 B.C.E.-70 C.E.). The group was founded in the second century B.C.E., and ceased to exist sometime after the first century C.E., following the destruction of the Temple of Jerusalem by the Roman Empire. Most of what is known about the Sadducees (also known as "Zadokites" and "Tzedukim") is derived from their critics, as none of their writings remain extant. Consequently, the historically reconstructed picture of the Sadducees may not be entirely accurate since it is based on biased sources. These sources indicate that the Sadducees rejected the existence of an afterlife, thus denied the Pharisaic doctrine of the Resurrection of the Dead. The Hebrew term "Sadducee" derives from "Tsdoki," suggesting that they were the followers of the teachings of the High Priest Tsadok (often spelled Zadok). Thus, the Sadducees seem to have been a priestly group, associated with the leadership of the Temple in Jerusalem. Most of what is known about the Sadducees comes from their critics, including Josephus, who wrote that they were a quarrelsome group whose followers were wealthy and powerful, and that he considered them boorish in social interactions. Josephus relates nothing concerning the origin of the Sadducees; he knows only that the three "sects"—the Pharisees, Essenes, and Sadducees—dated back to "very ancient times" (Ant. xviii. 1, § 2), which point to a time prior to John Hyrcanus (ib. xiii. 8, § 6) or the Maccabean war (ib. xiii. 5, § 9). Josephus also implies that there was a "political" Sanhedrin of Sadducee collaborators with Roman rule. Other sources critical about the Sadducees come from discussions in the Talmud, the core work of rabbinic Judaism (based on Pharisee teachings), Karaite refutations of Sadducean beliefs, and the Christian New Testament. However, none of these writings presents the Sadducees' side of these controversies, and it is possible that their positions described in later literature were meant as rhetorical foils for whatever opinion the author wished to present, and thus, did not, in fact, represent the teachings of the sect. Yet, although these texts were written long after these periods, many scholars have argued that they are a fairly reliable account of history during the Second Temple era. While little or none of their own writings have been preserved, the Sadducees seem to have been a priestly group, associated with the leadership of the Temple in Jerusalem. They may represent the aristocratic clan of the Hasmonean high priests, who replaced the previous high priestly lineage that had allowed the Syrian Emperor Antiochus IV Epiphanes to desecrate the Temple of Jerusalem with idolatrous sacrifices and to martyr monotheistic Jews. The Jewish holiday of Hanukkah celebrates the ousting of the Syrian forces, the re-dedication of the Temple, and the installment of the new Hasmonean priestly line. The Hasmoneans ruled as "priest-kings," claiming both titles, high priest and king, simultaneously. The Dead Sea Scrolls community, who are probably Essenes, were led by a high priestly leadership, who are thought to be the descendants of the "legitimate" high priestly lineage, which the Hasmoneans ousted. The Dead Sea Scrolls bitterly opposed the current high priests of the Temple. Since Hasmoneans constituted a different priestly line, it was in their political interest to emphasize their family's priestly pedigree that descended from their ancestor, the high priest Zadok, who had the authority to anoint the kingship of Solomon, son of David. According to the above mentioned sources, Sadducees rejected certain beliefs of the Pharisaic Judaism, including the Pharisaic tenet of an Oral Torah. The Sadducees interpreted the verses of the Torah literally, which often meant that they had a more stringent lifestyle. For example, in regard to criminal jurisdiction they were so rigorous that the day on which their code was abolished by the Pharisaic Sanhedrin under Simeon ben Shetah's leadership, during the reign of Salome Alexandra, was celebrated as a festival. The Sadducees are said to have insisted on the literal execution of the law of retaliation: "Eye for eye, tooth for tooth," which pharisaic Judaism, and later rabbinic Judaism, rejected. On the other hand, they would not inflict the death penalty on false witnesses in a case where capital punishment had been wrongfully carried out, unless the accused had been executed solely in consequence of the testimony of such witnesses. According to the Talmud, they granted the daughter the same right of inheritance as the son in case the son was dead. (see chapter Yeish Nochalin of the Babylonain Talmud, tractate Bava Batra) See however Emet L' Yaakov who explains that the focus of their argument was theological. The question was whether there is an "Afterlife" (see above) and thus the dead person can act as a chain on the line of inheritance as if he was alive. According to the Talmud, they contended that the seven weeks from the first barley-sheaf-offering ("omer") to Shavuot (Pentecost in Christian reference) should, according to Leviticus 23:15-16, be counted from "the day after Sabbath," and, consequently, that Shavuot should always be celebrated on the first day of the week (Meg. Ta'an. i.; Men. 65a). In this they followed a literal reading of the Bible, which regards the festival of the firstlings as having no direct connection with Passover, while the Pharisees, connecting the festival of the Exodus with the festival of the giving of the Law, interpreted the "morrow after the Sabbath" to signify the second day of Passover. They held that the daily burnt offerings were to be offered by the high priest at his own expense, whereas the Pharisees contended that they were to be furnished as a national sacrifice at the cost of the Temple treasury into which taxes were paid. They held that the meal offering belonged to the priest's portion; whereas the Pharisees claimed it for the altar. They insisted on an especially high degree of purity in those who officiated at the preparation of the ashes of the Red Heifer. The Pharisees, by contrast, opposed such strictness. They declared that the kindling of the incense in the vessel with which the high priest entered the Holy of Holies on the Day of Atonement (Yom Kippur) was to take place outside, so that he might be wrapped in smoke while meeting the Shekhinah within, according to Lev. xvi. 2; whereas the Pharisees, denying the high priest the claim of such supernatural vision, insisted that the incense be kindled within. They opposed the popular festivity of the water libation and the procession preceding it on each night of the Sukkot feast. They opposed the Pharisaic assertion that the scrolls of the Holy Scriptures have, like any holy vessel, the power to render ritually unclean the hands that touch them. They opposed the Pharisaic idea of the eruv, the merging of several private precincts into one in order to admit of the carrying of food and vessels from one house to another on the Sabbath. In dating all civil documents they used the phrase "after the high priest of the Most High," and they opposed the formula introduced by the Pharisees in divorce documents, "According to the law of Moses and Israel." However there is evidence that there was an internal schism among those called "Sadducees"—some of whom rejected Angels, the soul, and Resurrection—and some which accepted these teachings. 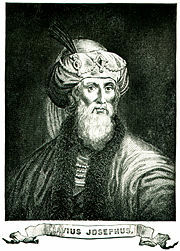 Among the rabbis of the second century the following legend circulated: Antigonus of Soko, successor of Simeon the Just, the last of the Men of the Great Assembly, and consequently living at the time of the influx of Hellenistic ideas (i.e., Hellenization), taught the maxim, "Be not like servants who serve their master for the sake of a reward, but be rather like those who serve without thought of receiving a reward" (Avot 1:3); whereupon two of his disciples, Zadok and Boethus, mistaking the high ethical purport of the maxim, arrived at the conclusion that there was no future retribution, saying, "What servant would work all day without obtaining his due reward in the evening?" Instantly they broke away from the Law and lived in great luxury, using many silver and gold vessels at their banquets; and they established schools that declared the enjoyment of this life to be the goal of man, at the same time pitying the Pharisees for their bitter privation in this world with no hope of another world to compensate them. These two schools were called, after their founders, Sadducees and Boethusians. Isaac Halevi suggests that while there is evidence of a Sadducee sect from the times of Ezra, it emerged as major force only after the Hashmenite rebellion. The reason for this was not, he claims, a matter of religion. He suggests that the Hellenists joined the Sadducees maintaining that they were rejecting not Judaism, but Rabbinic law. Thus, the Sadducees were, for the most part, a political party not a religious sect. The Sadducees are mentioned in the Christian New Testament in several places. The Gospel of Matthew, for example, indicates that the Sadducees did not believe in the resurrection of the dead. Acts of the Apostles asserts that the Sadducees claim there is no resurrection, nor angels, nor spirits, while the Pharisees acknowledge all three (Acts 23:8). Thus the New Testament contrasts the Sadducees' views with those of the Pharisees. In the climate of Jewish-Christian polemics that characterized in first and second centuries CE, Christian leaders presented Christianity as the legitimate heir to the Hebrew Scriptures, and thus made efforts to devalue Rabbinic Judaism. Thus, the books of the New Testament portray the Sanhedrin as a corrupt group of Pharisees, although it was, in reality, primarily made up of Sadducees at the time. Since the Sadducees were no longer an active threat to naiscent Christianity, the Gospels also consistently make a distinction between the Pharisees ("the teachers of the law") and "the elders" ("the rulers of the people"). The Great Sanhedrin (Hebrew: סנהדרין; Greek: συνέδριον, meaning Grand "council") was an assembly of Jewish judges who constituted the supreme court and legislative body of ancient Israel. The make-up of the Great Sanhedrin included a chief justice (Nasi), a vice chief justice (Av Beit Din), and sixty-nine general members who all sat in the form of a semi-circle when in session. Among these members were both Sadducees and Pharisees. Since the Sadducees were associated closely with the Temple in Jerusalem, they vanished from history as a group after the Temple was destroyed in 70 C.E. There is, however, some evidence that the Sadducees actually survived as a minority group within Judaism up until early medieval times, and they may have been responsible for hiding the Dead Sea Scrolls. ↑ Josephus, Wars of the Jews, Book II, Chapter VIII, Paragraph 14. Retrieved January 31, 2008. ↑ Lawrence H. Schiffman, "The Sadducean Origins of the Dead Sea Scroll Sect," in Understanding the Dead Sea Scrolls, ed. H. Shanks (New York: Random House, 1993), p. 35-49. This page was last modified on 23 July 2015, at 16:48.